About Residential Building Specialties, Inc. | Residential Building Specialties, Inc. About Residential Building Specialties, Inc. | Residential Building Specialties, Inc.
We strive to operate with honesty & integrity in all our business dealings. At Residential Building Specialties, Inc., we have been the Triad’s leading supplier of specialty products to the building industry for more than 32 years. Founded by Gregg Blevins in 1986 as Closet Designs/Clear Image, Inc., over the years, the name has changed, but the company’s mission and values have not. The mission of RBS is to provide top-quality installation of all the products we sell. We seek to provide our services in the timeliest manner possible and operate using an ongoing, comprehensive quality control program to ensure 100% customer satisfaction. We strive to operate with honesty & integrity in all our business dealings. Success will ultimately be measured by our customers choosing us because of their belief in our ability to meet & exceed their expectations regarding price, service and product selection. Our vision is to be the leader in providing distinctive specialty products to the building industry. We are a single source, turnkey supplier of closet shelving, door hardware, mirrors, shower doors, bath accessories, and much more. We offer only top-quality products from companies that stand behind us and their own products. RBS currently operates in a 16,000-square-foot warehouse located off Kinnamon Road in Clemmons, North Carolina. Within our facility, we fabricate shower doors, cut mirrors and glass, key door hardware, and more. We also have a 3,000-square-foot showroom that displays the products we offer. 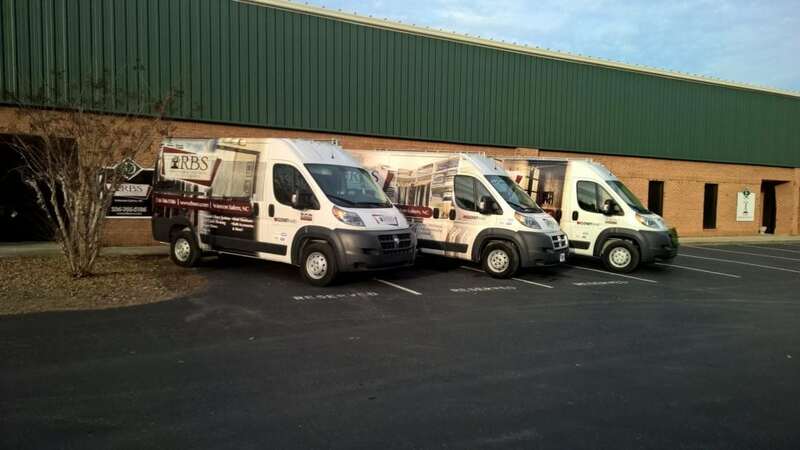 For us, the customer always comes first, and we believe that the quality of our products and installation services are heads above our competitors in the Winston-Salem, North Carolina area. We consider no phase of our operation as being of greater importance than safety. For this reason, RBS has a full time safety director to ensure our employees and clients understand our position on accident prevention and safety. Whether you are a builder or a homeowner, our team here at RBS is here for you. Contact us today to learn more about our products and services.